When searching for a new rental property to call home, renters may find themselves working with a few different types of rental professionals. 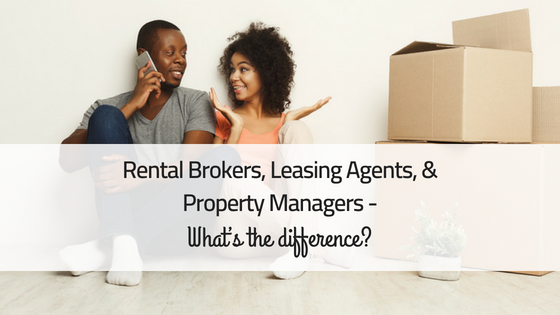 Rental brokers, leasing agents, property managers and landlords all work with renters in different capacities. Depending on where you live and the local market, you might be more likely to work with one type of professional over the other. 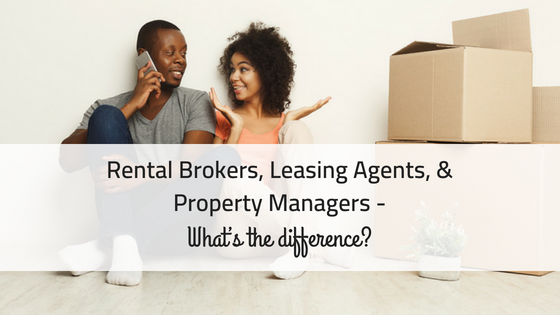 Here is a break down of the difference between rental brokers, leasing agents, property managers and landlords. Rental brokers coordinate the showing and lease signing of a vacant property with a prospective tenant and will charge a fee to the tenant for these services. A rental broker will work with a renter to find an available unit, by marketing the vacant property, showing the listing, and vetting the tenant for an owner. A rental broker will charge a mandatory fee to the tenant as part of the move-in expenses. The industry standard for a broker’s fee is 15% of the first year’s rent and typically due at lease signing, along with first and last months’ rent and a security deposit. In some cases a property will be exclusively represented by one broker and the only way to view the apartment is for a renter to work with that broker. In other cases, an owner will give the listing to a few brokers or make the listing available to all brokers. The requirement to work with a rental broker seems to be exclusive to NYC and Boston. According to Jen Carlson for Gothamist, “a single broker will sign an exclusive right to list, but in NYC and Boston, there are open listings that are not exclusive to any agent.” Carlson explains that a landlord will make the listing available to all brokers, and it’s up to the brokers to compete and market the property to find the next renters. Leasing agents are hired or employed by a landlord, apartment complex or work for a brokerage firm and are responsible for showing the property, screening tenants, and coordinating the lease signing. While a lot of duties of a leasing agent are similar to a rental broker, the fee is not always the responsibility of the tenant. Some leasing agents are paid by the property owner or manager. In other areas, like Boston, MA, the leasing agent will charge a fee referred to as a “commission fee,” “finder’s fee,” or “agent fee” of up to one month’s rent. This fee is either paid in full by the tenants, the landlord, or split between both depending on the market. In most cases, the state will require a leasing agent to complete a professional certification process. Additionally, state laws may or may not be required a leasing agent to work for or represent a licensed broker. Property managers are hired by rental property owners to manage all tasks related to the rental unit. In addition to marketing a vacant property and finding new tenants, a property manager is also reasonable for property maintenance, collecting rent, enforcing the lease, interacting with the tenants, handling evictions and lease violations, paying owners rental income, property accounting, and more. A property manager will perform all the tasks of a leasing agent but is not compensated by the tenant. Property managers are paid by the owner of the rental each month, typically 7-10% of the monthly rental income. In some cases, a property manager will charge a “leasing fee”, about one month’s rent, to a owner for finding a new tenant if the property is ever vacant. A property manager will need to follow their state’s licensing requirements, which can include getting a property management license or working under a licensed real estate broker (different than a rental broker). Some property management firms will have a specific person designated as a leasing agent, who will handle all the tenant interactions related to finding a new renter and the lease signing. When a renter works with a property management company, he might refer to the leasing agent as the property manager, whether or not this is an accurate title depends on the state’s licensing requirements. Property managers can typically represent several properties and owners. In some cases, a high-rise apartment complex or multifamily family property will have a designated manager to represent that specific property. A landlord is the actual owner of a rental property. Landlords can self-manage their property or hire a property manager to take care of the rental management. If a landlord self-manages the property he will be reasonable for all rental related tasks including finding a new tenant. If a property owner works exclusively with a property manager and does not handle any of the day-to-day management tasks, he may refer to himself as an investor, not a landlord. Some self-managing landlords also prefer the title of investor over landlord. In some cases a landlord will outsource certain rental management tasks to a property management company. For example, a landlord may hire a property manager to lease a vacant property, but still take care of personally collecting rent, handling maintenance and other tenant related issues. 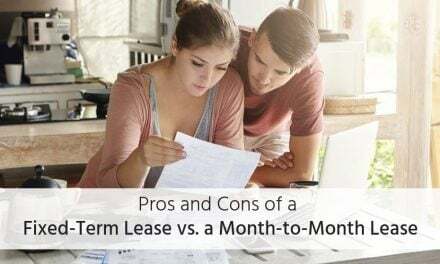 In these cases, the tenant would interact with a leasing agent or property manager before moving into the property and the owner would pay the leasing fees. Afterwards, the landlord would form a relationship with the tenant for routine rental management tasks. 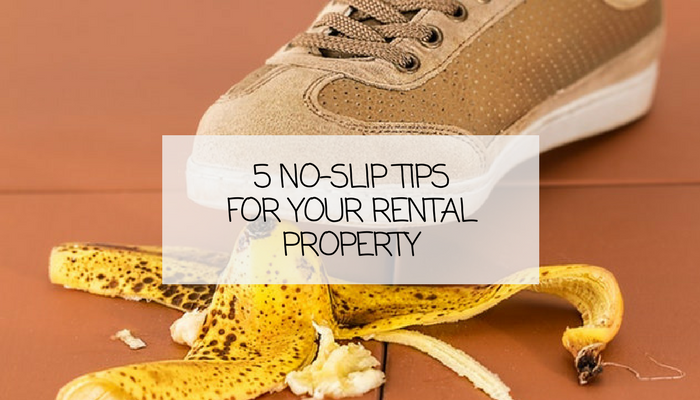 Depending on where you live and the type of property, you might encounter different rental professionals as a renter. Rental brokers and leasing agents are more common in NYC and Boston, MA. Property managers are often associated with multifamily housing communities and apartments. In some cases a property manager will manage single-family rental properties. Landlords often own single family homes, duplexes, triplexes, fourplexes, or smaller apartment complexes. Regardless of who you work with when renting a new property, make sure you feel comfortable working with them and that they demonstrate a clear understanding of the local landlord-tenant laws and have reasonable lease terms. If you get any red flags, consider a different property, since once you sign a lease you committed to the terms of the contract. How Secure is Your Multi-Family or Commercial Property? Outstanding post Kaycee. The differences between brokers, leasing agents and property managers are as clear as day but it would indeed be difficult to pinpoint which is which when you are not an expert. This post would indeed prove useful for a lot of people. Glad you found it helpful Jazreen!